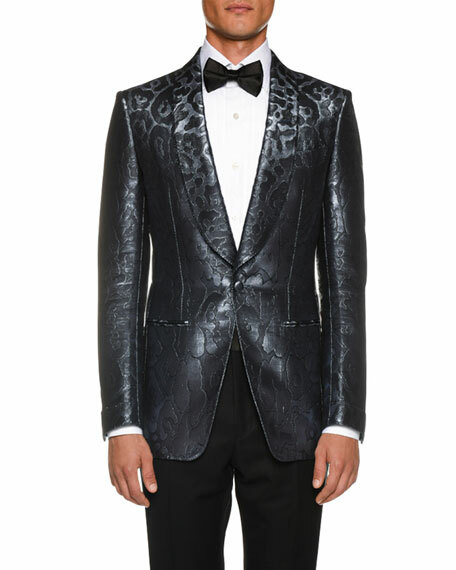 TOM FORD dinner jacket in leopard jacquard. 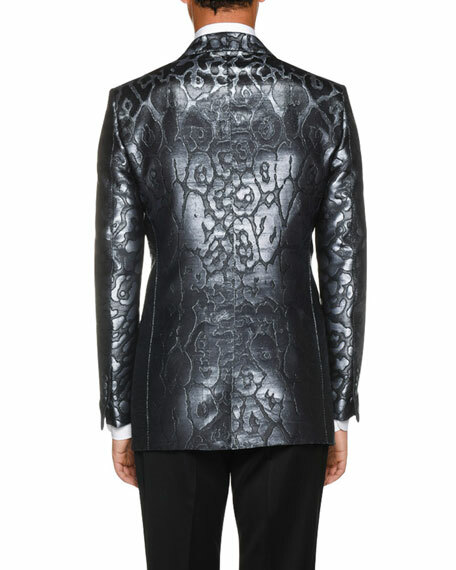 Single-button front with hand-stitched buttons. Front besom pockets; hand-cut chest welt pocket. 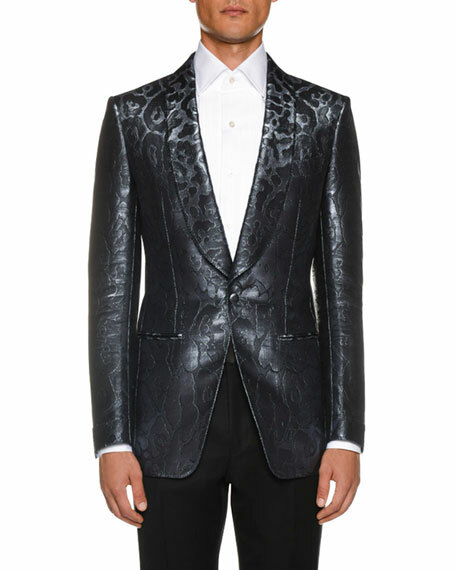 Signature Tom Ford details like hand-rolled three-fold hang cord.